What makes a wise, effective leader? For the answer, Derek Tidball turns to Moses' successor, Joshua. While leading God's people at a key time in their history, Joshua needed every ounce of wisdom for the challenges he faced. 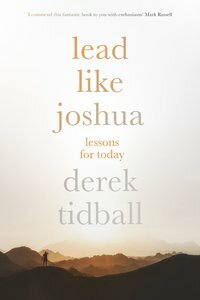 Through exploring the great man's story in the book of Joshua, Dr Tidball uncovers 24 leadership lessons that are still highly relevant today. About "Leadership Lessons Inspired By Joshua"